The most common comment I've gotten from sending out 5 of these has to do with whether the 'right' people get the reference. My family is weird. 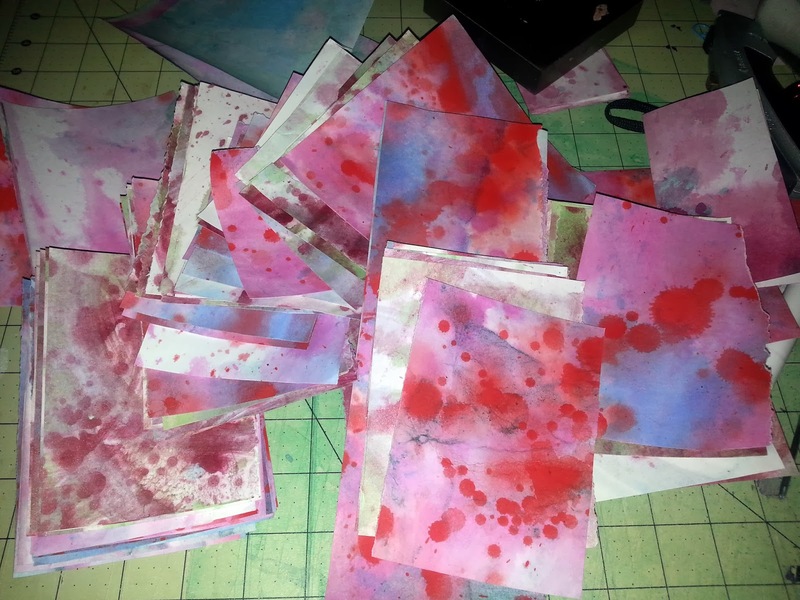 I have a ton of endcuts and scraps from various projects I'm trying to figure out something interesting to use them in. I came across a bunting with cherry blossoms and tried to make my own. 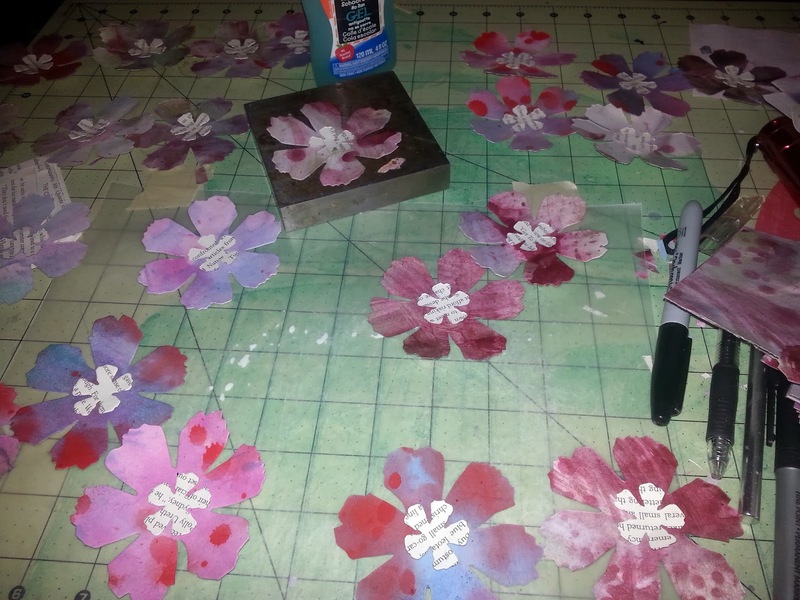 I glued the scrap pile to book pages (leftovers from other projects) and then made a template out of cardboard of a cherry blossom. This was after failing at origami versions. 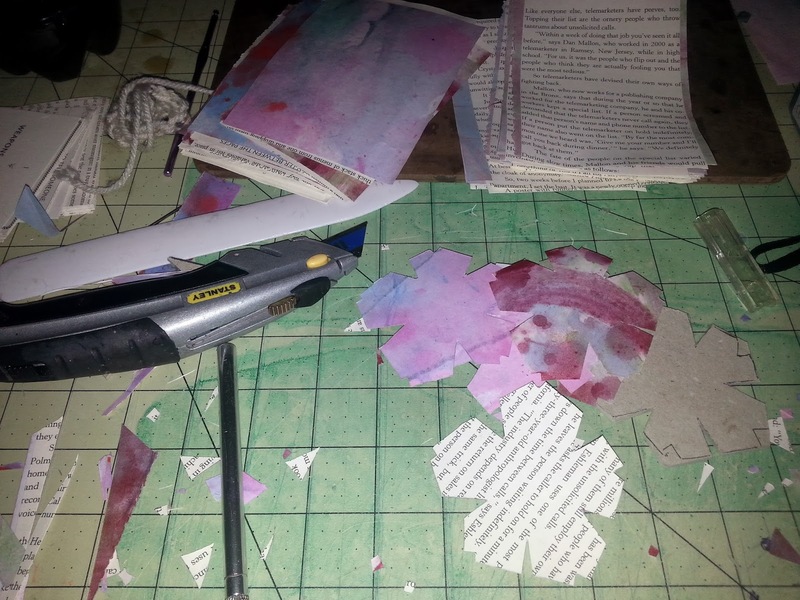 To glue the pages: One sheet book page, one sheet scrap paper. Paint either with a watery pva -archival glue which doesn't crack when dry. Slap the two together and lovingly cover in wax paper to dry under weight. When not quite dry remove. They were ok but not great so I looked around online and found a die that did a much better job. 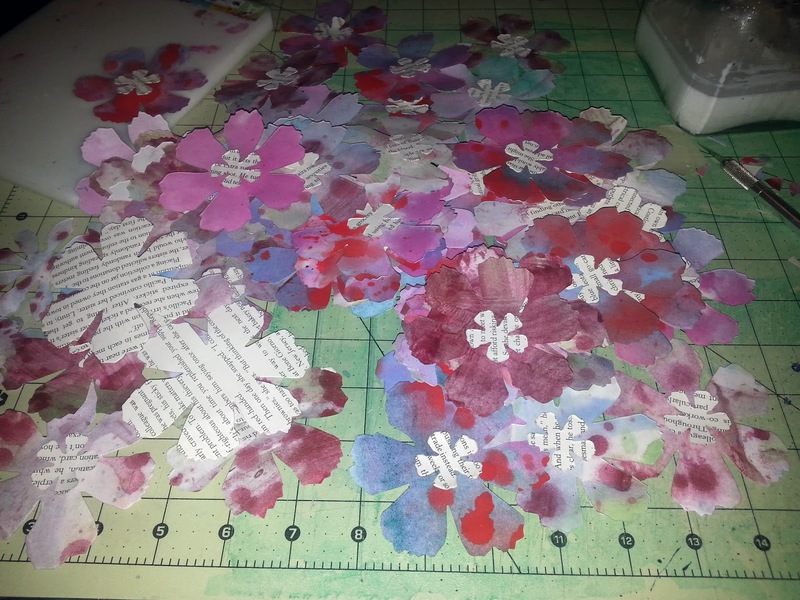 Because the pva wasn't completely dry I was able to curl up the petals a little bit. After dried it stayed that way. So now I have a ton of flowers. I don't know that I'll do a bunting, I kind of have that space covered with kid drawings from family. But this is definitely a good idea for leftovers.